Let’s keep up the pressure for a People’s Vote. 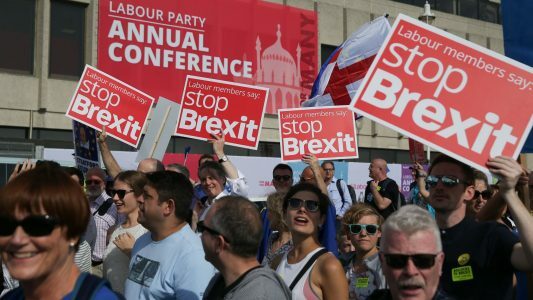 At Labour conference last September, we made a significant step towards stopping Tory Brexit. 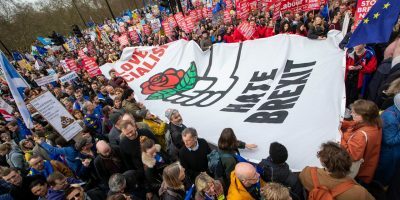 A huge grassroots push, led by the left, ensured that Labour was committed to voting against the Theresa May’s deal. The motion agreed at conference was an unambiguous instruction for Labour to campaign for an immediate general election and, failing that, for a public vote. Keir Starmer received a standing ovation when he announced that the option to remain must be on the table. With Theresa May’s deal now having failed in the House of Commons, it’s our job to make sure our policy is followed and that we win the argument against Brexit at every level of the party. Theresa May’s threat that the only alternative to a bad deal is crashing out of the EU without one has been roundly rejected. We know there is another option: putting the question back to the people. We wrote a model motion for local Labour parties. It is passing through hundreds of CLPs across the country, sending a clear message to MPs that this is what the membership wants. Conference mandate is overwhelming and opinion polls show that 86% of Labour members agree with the demand for a People’s Vote. Our representatives need to know that, and to keep our support they must continue to oppose the disaster that is Tory Brexit. Submit the motion to your local party today and let us know when you have done it! Don’t hesitate to contact us if you need any advice or assistance in putting it forward – we will be happy to help. 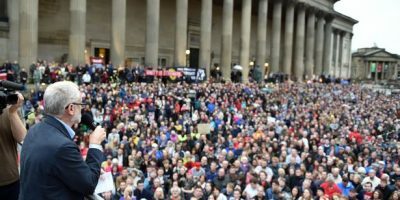 This CLP welcomes the call of 2018 Labour Party conference to halt and reverse privatisation, expand common ownership, protect migrants’ rights, tax the rich to fund public services and abolish the anti-union laws. The Tories’ Brexit agenda will deregulate and destabilise the economy, attack our rights and freedoms, and undermine our ability to implement a radical manifesto. We welcome the call of conference to put a public vote firmly on the table as a means of stopping this agenda, not because we are fanatics for referendums, but because we need to stop the process by which Tory free-marketeers are driving British society off a cliff. Any public vote on Brexit must, to be meaningful, include an option to remain. 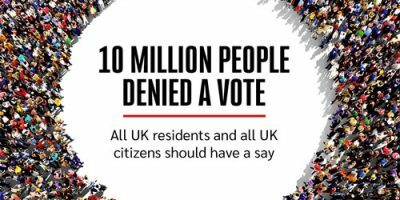 Labour should campaign for such a vote – and to remain. Meanwhile, we must defend every right under attack from the Tories’ Brexit – whether workers’ rights, environmental protections or freedom of movement between the UK and Europe. We must commit to reversing any attacks on these rights the Tories implement. If we are serious about ending the hostile environment for migrants we must extend, not limit free movement. We must end detention, deportations and denial of access to services. As conference 2018 said, “stagnant wages, crumbling services and the housing crisis” are caused by “government and employers making the rich richer at working people’s expense, and not immigration.” The answer is united workers’ struggles; migrant workers are often in the forefront of such struggles. We cannot campaign for the status quo – either here or across Europe. 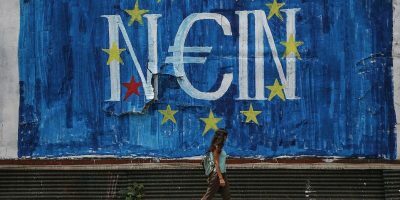 We want a battle for levelling up of wages, conditions, services and rights across Europe and beyond, and for democratisation of European and international institutions. This would require participation in those institutions. 4. To notify the NEC, NPF and Party Leadership of this motion’s passing. 5. 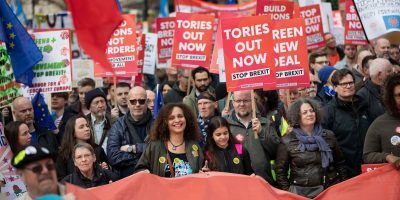 To make this policy part of our CLP, doorstep and street campaigning activity, and to contact Another Europe is Possible for materials, CLP speakers and assistance in campaigning. 7. To support calls for a half-day Emergency Conference so that members can clearly decide Labour’s Brexit policy.